In what played as an awkward moment, Lewis, the former star linebacker for the Baltimore Ravens and current ESPN analyst who made a deal with prosecutors by agreeing to testify against two friends in the murders of Richard Lollar and Jacinth Baker on January 31, 2000, gave his perspective on the Ray Rice affair on Sunday. Yeah, this is one of those situations that…. It’s family. I spent 17 years of my career at this one place. I’ve known Ozzie Newsome now over 19 years of my career, of my life. That’s half my life. I’ve known Steve Bisciotti over 15 years of my life. Each one of those men, bottom line, has never lied to me once. They’ve given me an opportunity at life to change not only my life but my family’s life as well as my kids’ lives. If this incident, what we’re dealing with, if they could do this all over again, they would. If the NFL could do this all over again, they would. Whether they saw the tape or not, who really knows outside of the people who was actually there to know what went on? But sometimes I think we get lost in trying to figure out who’s head to go after, who to attack now about what they didn’t do. Sometimes we forget why we’re here. We’re here for one reason and one reason only. We’re here for domestic violence. We’re here because we saw a friend of mine brutally hit his wife in an elevator. There’s some things you can cover up and then there’s some things you can’t. Right now is a sad day for me because the reputation that I left in this organization, this isn’t it. This isn’t it. What was built that many of years took hard work to get that. Took a hell of a reputation to put on the line. Men’s families. Men’s lives. How to actually get acclimated as a pro. So yeah, am I little bit offended when you talk about a guy by the name of Ozzie Newsome? Absolutely, because he’s one of the five-star generals in this world as a man. I don’t want us to lose fact. I don’t want us to lose what’s really going on here. Ray Rice put a lot of people in jeopardy with his actions. A lot of people in jeopardy. Not just himself. He needs to understand that because none of this happens if what happened that night in that elevator don’t happen…. If I ask for anything in this whole thing, I ask let there be light. Lewis had been defiant in the aftermath of the 2000 murders, carelessly saying things such as “Jesus Christ couldn’t please everybody . . . that’s my attitude,” and “The real truth is, this was never about those two kids that were dead in the street. 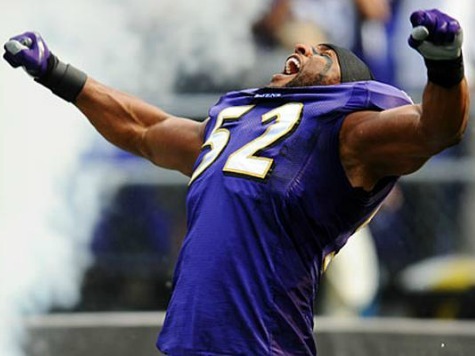 It’s about Ray Lewis. Don’t be mad at me because I was on center stage.” The linebacker, who earned a Super Bowl MVP nod the following year, fled the scene after the murders in his limo. The suit he was wearing that night was never found. Although he later recanted, Lewis’s limo driver initially said Lewis had been involved in the fight that took the lives of the two men.